What is regenerative agriculture? Why is it different from sustainable agriculture? And how do I reconcile what practitioners of this system are claiming with the scientific evidence? These were all going through my mind when, a couple weeks ago at an advisory committee meeting of the WSU Center for Sustaining Agriculture and Natural Resources, we watched a YouTube video of Gabe Brown’s TEDx talk in Grand Forks, North Dakota. Brown farms near Bismarck, ND, and has become the American face of regenerative agriculture in the past decade. Here is what I learned. Brown is a good speaker, in high demand for conferences and events. Our meeting organizers invited him to speak, but he is booked a year out, so we watched the video. Brown spoke of his 20+ year journey from a conventional row crop farmer to a regenerative farmer. In the video, he answered my first question, “what is it?” by giving five principles of regenerative agriculture. However, Brown’s version of regenerative agriculture is not the only one. In my past explorations of regenerative ag, I had found that there are multiple versions of these principles, each with a different flavor. Rodale and partners offer their strictly organic version with a new certification program attached. 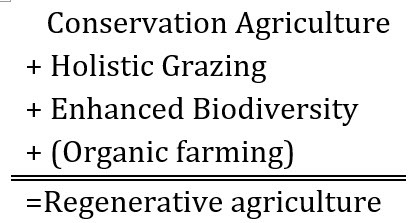 Project Drawdown includes regenerative ag in its plan to reverse global warming, and California State University at Chico has their regenerative ag initiative PDF. Table 1 shows Brown’s principles/practices compared to these other versions, and to conservation agriculture. Table 1. 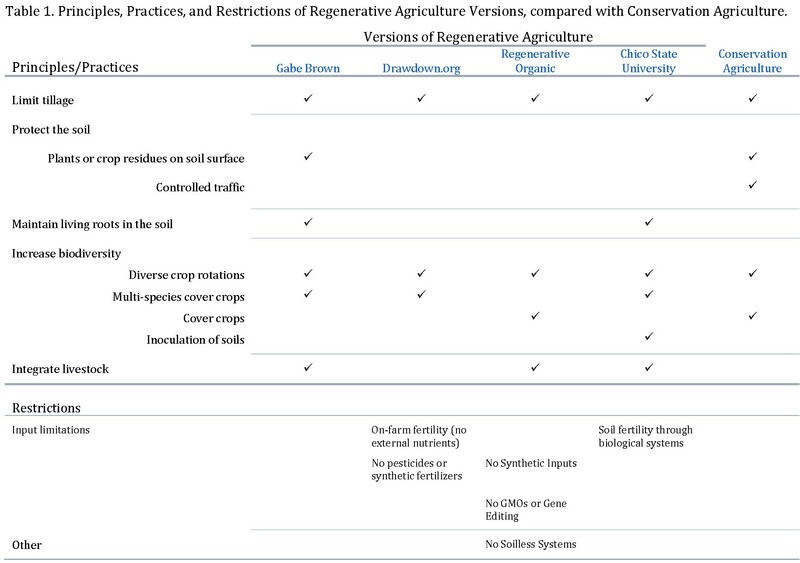 Principles, Practices, and Restrictions of Regenerative Agriculture Versions, compared with Conservation Agriculture. This is also the main focus of conservation agriculture. This set of principles grew out of the development of no-till in the 1970s. I see it as one of the predecessors of regenerative agriculture. Not much new here, but not anything to disagree with. So far, so good. Brown says the second principle of regenerative ag is “armor on the soil surface.” Keeping the soil covered to eliminate erosion is important because you can’t build soil while it is blowing or washing away. Related to this principle is Brown’s #3, “living plant roots in soil as long as possible.” I think the idea is that the soil will always be covered if there is no tillage and there always a living plant growing. Like principle #1, this is one that few will disagree with, but which is hard to implement with crops like potatoes or carrots, because they grow underground and require tillage to harvest them, and with small-seeded vegetables, because they require precise shallow planting which is difficult to achieve with crop residues on the soil surface. It is interesting that the climate-change and organic versions do not include a principle related to protecting the soil, at least explicitly (see Table 1). They are also the two versions that explicitly ban synthetic pesticides and fertilizers. If you can’t use herbicides, it is very difficult to always keep the soil covered with either dead crop residues or living plants. The next principle is to increase biodiversity. It is shared by all the regenerative ag versions, and conservation ag, although the latter does not often refer to it as biodiversity, per se. Brown implements his “diversity of plants” through intercropped cash crops and high-diversity cover crops that total 70 species. Impressive. Crop rotations and cover crops are, like the earlier principles, hard to disagree with. These are basics of sustainable agriculture and when markets and cropping seasons allow, they should be used. In the video, Brown’s last principle is “animal impact.” In all versions of regenerative agriculture, this is crucial to making regenerative agriculture work, and the main way to get the animal impact is through grazing. The particular type of grazing promoted by regenerative agriculture is management-intensive grazing, the holistic management of Allan Savory (click for a discussion of Savory and his practices). No argument here. Grazing livestock adds diversity to the products produced on the farm, adds value to cover crops (really annual forage crops), and recycles nutrients through manure. Nothing new here either – I helped organize management-intensive grazing workshops in NE Nebraska 25 years ago. So what is new about regenerative agriculture? 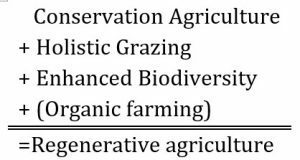 From what I have seen, one of the actual new things about regenerative agriculture is the intense focus on multi-species cover crops. The cover crop mixes in regenerative agriculture are not just 2- or 3- or even 5-way mixes, they range from 10 to 60 or more species PDF. Brown and other proponents of regenerative agriculture claim that these cover crop mixes stimulate the soil microbial population to supply plants with the nutrients they need, greatly reducing or eliminating the need for synthetic fertilizers. I have written previously about the lack of evidence supporting the use of cover crop mixtures over monoculture cover crops. Gabe Brown even commented on my essay, as did other fans of regenerative agriculture. I may have a “monoculture mindset” as Brown wrote, and be an “externalist” as another commenter suggested, but for all the comments, I did not receive any published evidence that cover crop mixtures are consistently better than monocultures. If cover crop mixtures are so beneficial, those benefits are sure hard to detect. Nor have I found evidence showing that intercropping is better than a diverse rotation of monocultures. If you know of evidence contrary to my conclusions, please let me know. The other thing that characterizes regenerative agriculture are claims by practitioners and scientist proponents that go against all published soil science evidence, indeed they seem truly miraculous by the standards of what we think we know about the soil. There are many examples, but let’s look at just one, given in Brown’s TED talk. During his talk, Brown offers the following slide showing the increase of his topsoil depth and soil organic matter over his 20-year transition from conventional farming to regenerative practices. Topsoil depth increases from 3” to 14” while soil organic matter (SOM) increases from 1.7% to 11.1%. Increasing soil organic matter by a few percentage points is normally thought of as a long, difficult process, unless you use a lot of imported manure or compost. Here, however, Brown claims to have increased SOM by over 9 percentage points. How? According to the slide, by cover crops, multi-species cover crops, and livestock integration. Let’s do the numbers according to what current soil science tells us this would require. First, some assumptions. My calculations are for the top 6” of soil for all 20 years. This ignores the increased topsoil depth shown on the slide and is therefore conservative. I am assuming that what Brown is showing is real organic matter, and not just undecomposed plant roots or shoots. Soil organic matter is not all organic material in the soil, it is the result of a complex biological process, with the resulting organic matter having very different properties from plant roots or shoots. In the process from plant (or microbe) biomass to SOM, losses of mass (CO2 released to the atmosphere) range from 80-90% PDF. I assumed a loss of 85%, equivalent to a plant/microbe mass to SOM mass conversion rate of 15%. I took the nutrient contents of SOM from this NRCS publication PDF. For ease of calculations, I assumed a constant rate of SOM increase. In reality, it is generally easier to increase SOM when levels are lower and more difficult as they get higher. Now we are ready for the calculations. First, the amount of plant biomass required to obtain Brown’s increase in SOM. Given the 15% conversion rate, he would have had to add 31 tons (dry), per acre, of plant or other biomass to the soil, every year, for 20 years (see figure 1). If 31 tons does not mean much to you, it is more than the entire aboveground biomass of a fully fertilized, irrigated corn crop. It is more than a full season, four cuttings, of irrigated alfalfa hay production. It’s a lot of biomass. And this amount of biomass was added to the soil –what was harvested as a crop or as meat through livestock grazing is in addition to this 31 tons per acre per year. Building soil organic matter requires more than biomass; nutrients are also needed, either in the added biomass or from the soil. SOM averages 5% nitrogen and 0.5% phosphorus. So then, Brown’s SOM increase requires 470 lb. of nitrogen and 47 lb. of phosphorus per acre, each year, for 20 years. This is more nitrogen than is applied to a high yielding irrigated potato crop, and as much as is harvested in a 9 ton per acre alfalfa crop. And this 470 lb of nitrogen per acre is in addition to what is needed to produce a crop or to produce meat. 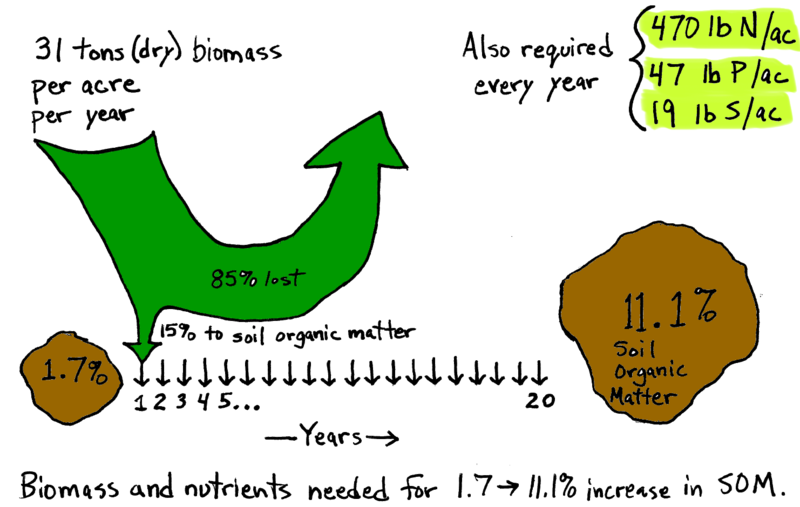 Figure 1 – Biomass and nutrients needed for 1.7-11.1% increase in SOM. We are to believe that biodiversity-powered microbes free up large amounts of phosphorus, fix large amounts of nitrogen from the air, while plants produce 31 tons of biomass in a short North Dakota season, while also producing harvested crops and livestock? I cannot say that this scenario is impossible, but I find it highly improbable, because if this is true, then it means that science has missed an astounding, extraordinary process. And it has been missed by not just agricultural soil scientists, but also those who work in prairies and forests, because, according to regenerative agriculture, this is how it works in nature. And we have been studying nature for a long time. And this is not just about a claim made by Gabe Brown; similar claims are commonplace in regenerative ag circles. If this and similar claims are true, then we are talking about a revolution in agriculture, which is what regenerative farmers and their supporters say it is. However, there is another principle here: extraordinary claims require extraordinary evidence. What counts as evidence are peer-reviewed publications in scientific journals – I have looked for the evidence to support the claims of regenerative agriculture. What I have found are lots of YouTube videos, testimonials, articles and interviews. None of these sources are extraordinary evidence. Extraordinary claims also require scrutiny, which is why I wrote this piece. I cannot disprove with words and calculations what Brown says he has observed in the field, but words and calculations can show that this is extraordinary, and so demand more evidence. I also wrote it to show the regenerative agriculture community the reasons why people like me, scientists and researchers, and those who believe in the scientific process, are skeptical of their claims. If the claims of regenerative agriculture are real and repeatable, then they are of such magnitude (i.e. 1.7 to 11.1% SOM) that they should be easy to measure. So here is a challenge to regenerative agriculture. Provide the extraordinary evidence. If it exists, let me know and I will post it here. If the research still needs to be done, connect with researchers to start the process. Don’t let regenerative ag become the cold fusion of agriculture. Pursue rigorous science to demonstrate its value. LaCanne, C.E., and J.G. Lundgren. 2018. Regenerative agriculture: merging farming and natural resource conservation profitably. PeerJ 6: e4428. doi: 10.7717/peerj.4428. The “most” regenerative farms were defined as using multi-species cover crops, “never-till”, used no insecticides, and grazed livestock on their cropland. None of the conventional farms used cover crops, almost all of them used tillage and none of them grazed their cropland (Table 1 in the paper). What did they find? Pests were 10-fold more abundant in insecticide-treated corn fields than on insecticide-free regenerative farms, indicating that farmers who proactively design pest-resilient food systems outperform farmers that react to pests chemically. However, the paper states that “none of these pests [in either system] were at economically damaging levels.” Both types of farms managed their pests, so this 10-fold difference does not really matter. The paper also tells us that the treatment in “insecticide-treated fields” consisted of “genetically modified insect resistant varieties and neonicotinoid seed treatments.” Not really a high concern scenario in terms of insecticides. Although the paper measured soil organic matter levels on all the farms (Table 2 in the paper), and particulate organic matter, a more biologically active part of the organic matter, it does not directly compare these values for conventional and regenerative farms. I would guess that this is because such a comparison would inappropriate given that they did not control for region, or soil texture, manure application, etc. Although the abstract promises an evaluation of soil conservation, the paper does not deliver any such evaluation. Yield reductions are commonly reported in more ecologically based food production systems relative to conventional systems. Given the lower yields, it might be a surprise that regenerative farms were found to be nearly twice as profitable as conventional farms. But the profits included in the calculations were not just from corn yields; the regenerative farm’s profits include meat production from grazing, organic premiums, and direct marketing. It is not possible to tell from the paper how much these influenced the net profits, but given that the regenerative farms started with 29% less yield, I assume grazing and marketing made up a large part of the difference. On the cost side, the regenerative farms had lower fertilizer costs due to the use of legume cover crops, and lower seed costs because they, I assume, did not plant GM corn. We know that tillage degrades soil, cover crops improve soil, and organic premiums and direct marketing can improve profits; nothing new there. And I see nothing that supports the extraordinary claims of regenerative farming. Also, don’t rely on just the abstract; read the paper if it is available. Machmuller, M.B., M.G. Kramer, T.K. Cyle, N. Hill, D. Hancock, and A. Thompson. 2015. Emerging land use practices rapidly increase soil organic matter. Nature Communications 6: 6995. doi: 10.1038/ncomms7995. Robust research in agriculture is not easy to do, and not every peer-reviewed paper is of equal worth. van Groenigen, J.W., C. van Kessel, B.A. Hungate, O. Oenema, D.S. Powlson, and K.J. van Groenigen. 2017. Sequestering Soil Organic Carbon: A Nitrogen Dilemma. Environmental Science & Technology 51(9): 4738–4739. doi: 10.1021/acs.est.7b01427. Sullivan, Benjamin W., W. Kolby Smith, Alan R. Townsend, Megan K. Nasto, Sasha C. Reed, Robin L. Chazdon, and Cory C. Cleveland. 2014. “Spatially Robust Estimates of Biological Nitrogen (N) Fixation Imply Substantial Human Alteration of the Tropical N Cycle.” Proceedings of the National Academy of Sciences, May, 201320646. https://doi.org/10.1073/pnas.1320646111. This study made robust measurements of biological nitrogen fixation in a very diverse environment of tropical forests, both primary and secondary. The highest rate they measured was about 20 lb N/ac per year in contrast to earlier estimates by Cleveland et al. 1999, which I mention in a comment below. Diversity does not guarantee high or even moderate rates of nitrogen fixation in natural ecosystems, although the nitrogen fixation here could be limited by available P.
Reed SC, Cleveland CC, Townsend AR. 2011. Functional ecology of free‐living nitrogen fixation: a contemporary perspective. Annual Review of Ecology, Evolution, and Systematics 42: 489–512. Free-living N fixing organisms may contribute up to 10–15 lb/ac per yr in some ecosystems. These ecologists seemed to be impressed with this rate, but this agronomist is not. Kallenbach, C.M., S.D. Frey, and A.S. Grandy. 2016. Direct evidence for microbial-derived soil organic matter formation and its ecophysiological controls. Nature Communications 7: 13630. doi: 10.1038/ncomms13630. Castellano, M.J., K.E. Mueller, D.C. Olk, J.E. Sawyer, and J. Six. 2015. Integrating plant litter quality, soil organic matter stabilization, and the carbon saturation concept. Glob Change Biol 21(9): 3200–3209. doi: 10.1111/gcb.12982. This paper has a table listing papers that measured the amount of C addition converted to soil organic carbon. The field measurements in the table from nine studies range from 3% to 33%, or 67-97% loss. 81 thoughts on "Regenerative Agriculture: Solid Principles, Extraordinary Claims"
At Montana Highland Lamb we have done just what Gabe and other farmers have predicted if we manage for soil health through adaptive multi paddock grazing: gone from 160 units of applied N/acre/year to our pastures to 0 applied while maintaining 6-7 tons of dry matter grass production. Growing season: 120 days at 4200 foot elevation. SOM at 5.5%, up from 1.3% in 1982. I don’t know the science behind it, as you say. I just know it works. I don’t miss the fertilizer bill or power bill for 25% less irrigation either. Sometimes you just have to believe farmers even if they don’t know the science. Dave, thanks for the comment. Are you talking about grazing perennial pastures here? That is quite different than grazing annuals in rotation with row crops, and replacing 160 lb of N per acre with a mixed pasture is certainly feasible. Yes, Andrew, we have pastures with 95% Regar Meadowbrome perennial grass. We are hoping that some legumes will come in gradually as time goes on. We are not going to plow everything up just to get diversity in there. It will come. Yes, perennial pastures are different than annuals, but the over-riding principles are the same. Replacing 160 lbs per acre of N is certainly feasible. Please recommend it to those in your confidence. It does require gradually reducing N, feeding your soil microbiology through high stock density grazing of tall grass(to maximize root exudates and soil carbon), trampled grass, sufficient rest periods and allowing it to blossom into a functioning ecosystem. Give it some time and practice patience. Not everything is going to be rosy in the transition process. However, once achieved, it is certainly rewarding to let natural processes do the work instead of you running around with a fertilizer tote. If anyone is interested, I would be more than willing to share our experiences. Hey Andrew. I understand your confusion; I didn’t initially understand the principles either. Your argument in the article is based on an outdated and inaccurate assumption that aboveground biomass is the measure to use to calculate SOM increase. The principle that you completely glossed over in your article is the explanation that explains your confusion. LIVING ROOTS. The video link below is a great plain language, scientifically backed explanation of why regenerative agriculture works and how it can increase SOM so much faster than what we were taught in university soil science classes…even as recently as 7 years ago when I finished school. I would recommend that you look outside of the good ole US of A if you want the best scientific data on regenerative ag. America is way behind the rest of the world because most of our ag research institutions are literally funded by the companies that have a vested interest in regenerative ag not being studied. Thanks for keeping an open mind; that’s obviously the #1 principle of good science right? I think we can all agree that science loses when it’s practitioners become dogmatic. Dylan, thank you for the comment. Yes, we now know that root biomass, and exudates, through a microbial process, are more efficient pathways for creating soil organic matter than aboveground residues. We also know that dead microbes can become soil organic matter as well as some of the substances they produce. However, all this was also true when we didn’t know about those processes, when we were only measuring aboveground biomass and calculating the SOM produced. Even though we did not measure it, it still happened. So all the estimates that I used are still accurate. In fact, if you add the root biomass and exudates to the calculations, it reduces the biomass to SOM conversion rate because we still have the same amount of SOM produced but are adding biomass to the input side. Also, I do not consider YouTube videos as the extraordinary evidence that is needed here. Nicely done! I am a retired IT manager in a 2nd career as a market gardener with a small flock of pastured laying hens. We use organic practices exclusively, so I am totally behind the whole regenerative ag thing. But you are absolutely correct: claims need to be substantiated! Andrew, I would have appreciated the courtesy to have had you call and discuss this with me before you wrote an article that misquoted me. I would have granted you such. I did not say that all of our land was at 11.1% OM. I specifically said that I had one plot of land that had reached 11.1% OM. If you would have had the decency to call me, I would have been more than happy to explain to you how we did that. You can critique all you want but the facts are clear. I am very proud of the fact that there are thousands of producers all over the world that are using the principles of nature to regenerate their soils and their ecosystems. Many scientists and educators are having to “eat crow” because they do not understand ecosystem function. I encourage you to do what is right and have the decency to search out the facts and talk to the parties involved before you write such an article. Gabe, I don’t see where I misquoted you. Tell me where exactly, and I will correct it right away. For my calculations and conclusions, it does not matter whether we are talking about 10 acres or 1000 – they would not change because they are on a per acre basis. 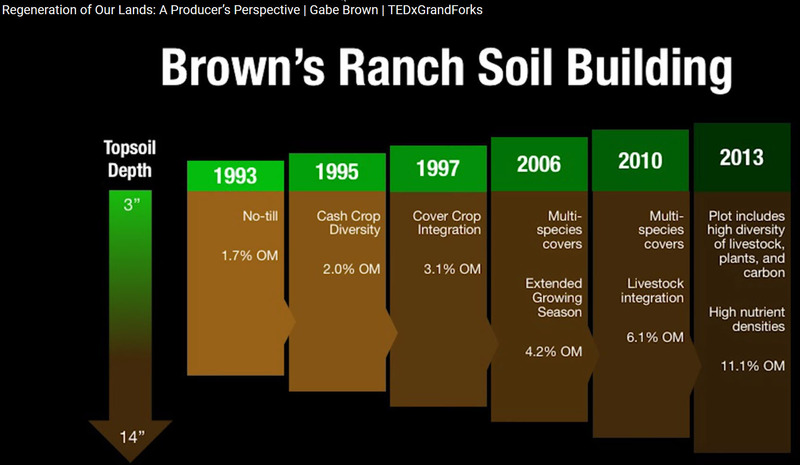 Regarding how you achieved the 11.1% organic matter, I assumed that the your slide “Brown’s Ranch Soil Building” listed all the practices that you used. If however, there are practices you used that you did not mention on the slide or in the video, please tell me. Here is another recent article on regenerative agriculture. Stephen, I am glad you mentioned that article, which refers numerous times to David Johnson. Others have also referred me to his work. However, when I go to the links, I find that both his papers are preprints, not peer-reviewed papers. Go look for yourself. This does not meet the bar for extraordinary evidence. Also, I am very aware that soil biology is important in the formation of soil organic matter. It still does not explain where all the nitrogen comes from. Have you been on Gabe Brown’s Ranch? Have you ever called him and asked him to visit his ranch to take soil samples? A humble and gracious person (scientist) would have gone the extra mile to seek knowledge and understanding and would have visited the site in question-that’s good character and science! Recently a third-party company was hired to test Gabe’s soil. The company is called “Cedar Basin Crop Consulting in Decorah, IA” managed by Shannon Gomes. All his fields on the ranch ranged from 4.5 to 7.5 percent organic matter. He has one field with 11.1 percent. Not bad starting @ 1.9 percent organic matter. Gabe has said many times that his soils are degraded. I know I hear him say that all the time! I teach with him! It is interesting how you questioned Gabe about organic matter. Your argument is from very old science, reductionist, singular, and linear thought process. In fact, the opposite how all biological systems work: non-linear, dynamic, and mathematically unpredictable. The new science of the future is quantum mechanics and Biomimicry. You are trying to argue from a flawed premise. You and I will always be wrong if we approach the natural system from reductionist perspective. 1)	The new thought process about soil biology is that a majority of organic matter does not come from the residue it comes from the rhizosphere plus the microbial biomass. Recent documented research states the 40 percent of organic matter is dead carcass of bacteria-not from the residue. Recently documented with new technology. You want to approach singularly. 2)	The 10th edition of the Nature and Properties of Soils (Soils Bible) and now the 15th edition, the same chart and information is still used. If you read page 534, Figure: 12.13, in the 15th edition, It shows a range of 65-85 grams (65 to 85 percent) of the original 100 grams or 100 percent of the residue consumed and released has CO2. The other 2-5 grams goes to the soil organisms- the remaining 15-35 grams or (15-35 percent) goes to making the liable carbon pool and the humic/non-humic pools, others called organic matter. It is interesting how you came up with 11 percent? From 11% to 15 % is a 36.6 percent change between these two figures…if it is not 11% but 35%….that is 218 percent change. So, by my understanding you can be 36% to 218% off in your estimation. There is a reason why biological scientist…leave a range…it is not exact! This information is from various credited scientists. of farms and ranches in my 32 year career with NRCS has an Agronomist and accredited Soil Scientist- combined with 8 years of university study in agronomy and soil science. I have never seen soils like Gabe Brown Ranch. Also, I wanted to mention organic matter is only one indicator! There are many indicators that need to be understood to determine soil function. Soil function cannot be looked at singularly, linearly, and a mass balance thought process. It is more elegant and dynamic than that! Organic matter changes daily! It is not a static pool. It is a flow of energy! This is the new science! Many of the teachings we were taught were just wrong. This is in a recent paper from Europe done with awesome technology. Dr. Han’s Rosling does an amazing TED talk on the Ignorance project. In the TED talk he asks why monkeys score higher than humans about knowing about the world. He had three simple reasons: 1) personal bias, 2) outdated information (universities and teachers teaching old information) and 3) fake news! Andrew, maybe you should watch the video. I have! Finally, you have so much heartburn about the claims of Regenerative Ag. Maybe you should leave you area more often. There are many universities teaching Agroecology. They have been teaching these regenerative concepts for agriculture for years throughout the world! Many of the literature show multi-mixes out yielding mono-cultures. I have to chuckle you when you say there is no evidence that multi-species are better than mono-cultures. The whole planet is driven by diversity. Here some researchers evidence that diversity is better than mon-culture. Read the research of all these man. “Applications of principles and patterns from nature in agriculture are well recognized but rarely applied in agroecosystems. (Odum 1983, Soule and Piper 1992, Jansson and Jansson 1994, Vandermeer 1995) (Altieri 1999, Shapiro and Harrison 1999)”, Dr. David Tillman. Take a look at this meta-analysis for evidence that polycultures are always better than monocultures: Cardinale, B.J., K.L. Matulich, D.U. Hooper, J.E. Byrnes, E. Duffy, L. Gamfeldt, P. Balvanera, M.I. O’Connor, and A. Gonzalez. 2011. The functional role of producer diversity in ecosystems. Am. J. Bot. 98(3): 572–592. doi: 10.3732/ajb.1000364. Especially for short season annuals that are most often used as cover crops. Finally, you wrote “Many of the literature show multi-mixes out yielding mono-cultures.” Please show me those papers where a mixture out-yields the BEST monoculture, not just the average of the monocultures. I discuss this difference in my cover crops posts linked from my article above. Ray, I tried looking for the papers whose authors you mentioned. As far as I could tell, three of them are books, perhaps good sources, but if there are specific papers mentioned in these books, I would prefer those. I looked at the Vandermeer 1999 paper and did not find anything that would support the claim at hand. Same goes for the Altieri 1999 paper. I could not find the Shapiro and Harrison paper, and Tillman has many papers, most dealing with perennials. Do you have one Tilman paper in mind? I am also interested to hear how quantum mechanics is relevant to all this? Roots and especially root exudates are by far the largest contributor to soil OM. Aboveground biomass contributes very little, but is extremely important for protecting the soil and the OM contained therein. With Gabe’s methods and climate, I don’t think changing the soil OM from 1 – 2% to 7 – 8% over the course of a decade or two is implausible at all. I don’t doubt that it really happened. The 11% is an outlier, but maybe he applied lots of manure to that 10 acres? As for where the nutrients come from in all that OM, in Gabe’s case, the N comes from all the alfalfa he grows. He also has legumes such as Cicer milkvetch in his pastures. There’s a huge stockpile of P in the soil that’s just waiting to be liberated by biological activity. Some plant species (brassicas, buckwheat, certain lupins, etc) are well known to unlock this ‘fixed’ P. With all of Gabe’s plant diversity, quite a bit of P could’ve been liberated. Furthermore, Gabe has a system where P hardly ever leaves the farm. He doesn’t sell that much grain. Most of what he grows goes thru his cattle, and if that feeding occurs in his feedlot, the manure gets hauled back onto the land. Plus, he buys hay from outside sources, thus importing nutrients when that manure goes back onto the land. Gabe has created an amazingly successful system for his part of the world. Anyone with an affinity for cattle can to some extent mimic it. (Although Gabe does a lot of value-added, by selling his own brand of beef to consumers, selling breeding stock, etc.) However, this system does *not* translate to poorer soils of the country or the world. And be it noted that Gabe does most of his grazing on perennials, not annual species. So I have issues with Gabe preaching that everyone everywhere needs to put livestock back on the land. Maybe if we did free-range chickens, we’d be okay by avoiding the compaction and erosion issues. As to the studies on cover-crop mixtures being better than single-species, there were some studies conducted 8 – 10 yrs ago in ND that clearly showed the advantages of multiple species in handling drought. It might be unpublished work. I don’t know what all they quantified from that, but Gabe would know. The cover-crop mixture things is perhaps a little oversold, and costs can rapidly spiral out of control for those who don’t graze their “cover crops” aka forages. And some people create problems for themselves with diseases, etc., by not paying enough attention to what they’re putting into the cover-crop blend. But the concept of species mixtures is solid enough from a science perspective, even if not abundantly documented in the literature. Matt, thanks for the comments. If 11% soil organic matter is an outlier, then it should not be used as the example of what Brown has done. If manure has been applied from a feedlot, that changes an improbable process to something quite feasible, especially for a small field, as I have written here (http://csanr.wsu.edu/can-manure-sustain-soils/). However, manure application from a feedlot is never mentioned in the video. I have written about the evidence on multi-species cover crops in other posts. If the benefits are there, they are not easy to observe, nor consistent. Even in nature (Cardinale et al. 2011), benefits of polycultures are not consistent. 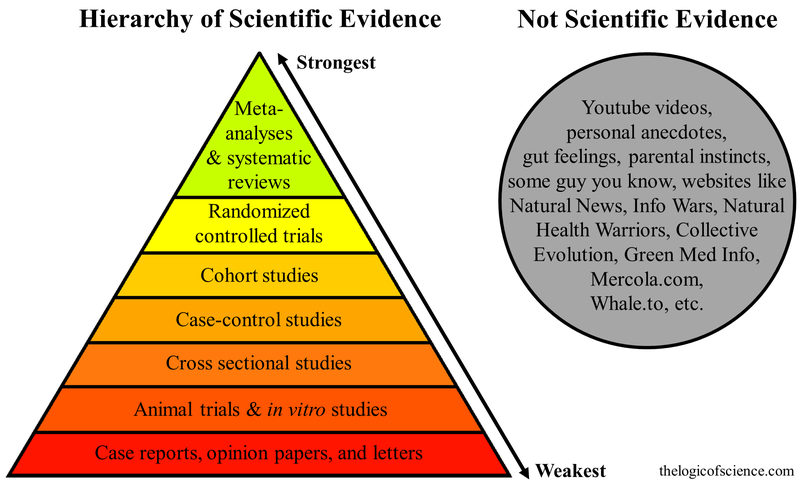 Until someone presents me with evidence (peer-reviewed papers) contrary to this, I will continue to hold my position. Your skepticism on multi-species benefits is okay. I certainly held that view at one time, and the evidence isn’t overwhelming at least in true cover crops (not forages). I try to figure out which species (singular) is doing the important work for that cover-crop niche. Getting that species seeded is of great importance. Adding other useful species to that is nice, but not imperative. I.e., the biggest bang for the buck is the first species. There’s decreasing marginal value in each additional species. Purely as cover crops, that is. Grazing is a different matter. Most of my clients don’t graze cover crops because we can’t handle the loss of mulch and the compaction, but that’s because soils in KS & Oklahoma are so lousy (geologically much more ancient than Gabe’s). Also, what Derek Axten and pals are doing on the Canadian prairies is relevant here. They can grow alternate-rows of legume and non-legume, and get higher yields than if the field was split half and half of pure stands. And, they eliminate the need for fungicides for Ascochyta. I am making my way through “Growing a Revolution” right now. As I wrote in my post, I agree with the principles; it’s the claims that I am skeptical of. Mongomery has, so far, done an fair job with the principles, but does not dig into the claims enough for me. I agree that grazing is a different matter. In fact, I would say that if we are selecting annual species mixtures for grazing, we have an annual forage crop and not a cover crop. 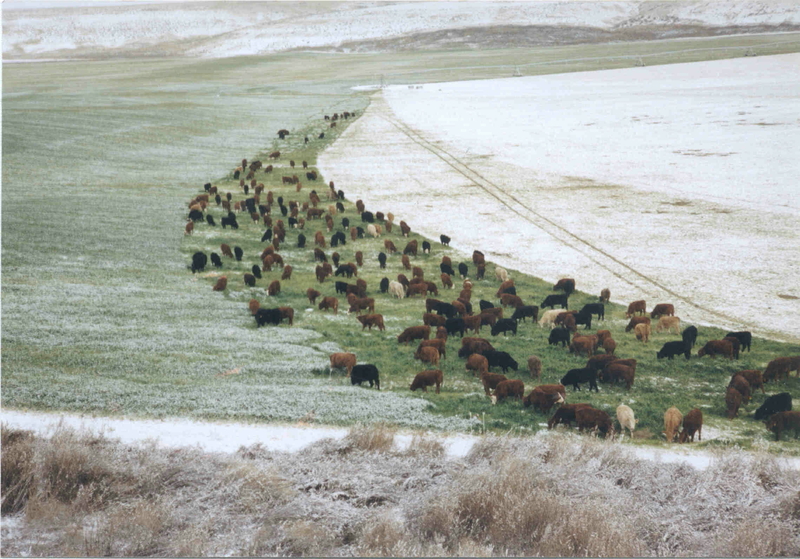 Although they both provide some of the same benefits, management is different, and mixtures may have more benefits for grazing. Matt and Andrew, you two deserve each other. Go live in your own little world and watch regenerative agriculture become the new norm! I told Andrew I would not answer his questions because he did not have the decency and professionalism to check with me before running his mouth but I feel compelled to comment on a couple of things. First, I make it clear in all of my presentations, workshops and schools that we raise grass finished beef and lamb. Obviously 99.99% of people realize that this means no grain-ever! Because of this anyone who has any ability to reason would come to the conclusion that I would not have any feedlot manure to apply onto my fields. Matt comments that grain does not leave my farm. What then, happens to all the grain I grow? We sell most of the grain we raise as seed and as non-GMO livestock feed. Gee, when it must leave the farm, right? Matt claims that I get the nitrogen from alfalfa. NO! I get the N from a variety of legumes in my cover crops, perennials and BIOLOGY! You two need to read more ecology books. Study the work of Tilman who shows that biomass increases substantially with diversity until 7 or 8 species is in a group. It also increases substantially with each additional functional group. There is plenty of data out there as Ray Archuleta stated. Matt, you have a major issue with livestock on cropland, stating compaction is an issue. Compaction is a function of two things. The amount of time the animals are left on a particular parcel and the compaction between the ears of the person who is managing the livestock. Regenerative agriculture, unlike the current production model which you two expound, requires the power of observation and critical thinking. Andrew, you think things are meaningless unless they are peer reviewed. That is total nonsense! Most of the “research” coming out of our institutions today is meaningless to producers. It has led us into the industrial ag. mindset that is responsible for the demise of our natural resources and has played a major role in the decline of human health. I am proud of the regenerative mindset and the thousands of producers all over the world who are going down this path. You two can criticize all you want. Intercropping of green manure/cover crops in tropical regions has definite benefits, in large part because we have more intense sunlight, light shade is beneficial, and the sun comes in at a steeper angle, providing more sunlight for the short-stature species. See my book, “Restoring the Soil,” at the FAO website. Gabe, my statements about your operation reflect things that you’ve done and said in the past. Sorry if that isn’t current. When I did the story on you in Leading Edge, you were doing a lot with a feedlot and spreading manure. I assumed that some grain was being fed also, but realize that may have been discontinued. Didn’t know if you were all grass-fed, or just part. You’ve answered that. As I understand it, you can feed ‘grass-fed’ in a feedlot, just that it needs to be silage with negligible grain content or hay. So, you’re saying that you do nothing at all in a feedlot now? I’m a big fan of most things that fall into the rubric of Regenerative Ag. No-tillage, plant diversity, cover crops. I think your (Gabe’s) system is wonderful for those at the same latitude or farther north into Canada. It becomes increasingly problematic moving south into poorer soils. Even Dwayne Beck admits that he’s not sure his 25-yr NT at Dakota Lakes can handle the cattle impact. The compaction from livestock occurs from the first hoof impact. For cattle, it’s 27 psi for each and every step, it doesn’t magically not occur until a certain amount of time of grazing has passed. Gabe, some of your comments toward me are a bit unfair. I’ve been defending you thru most of this blog discussion. Although I wonder why you picked the outlier (and only 10 acres!) on the soil OM to use as an example in your TED talk. And if you know why it’s so much better than the others, you should explain it. Gabe, I never said nor implied that non-peer-reviewed information is meaningless. Rather, I said that your claims are extraordinary, and require extraordinary evidence. You mention Tilman, which is getting closer. Do you have a specific paper of his that you recommend I look at? If I remember, his work is with perennials, and not with annuals as are used in cover crops. But you did mention perennials as a source of your nitrogen. Do you know of any evidence of perennials producing 470 lb of N per acre per year? Ray, you also mention the names of some researchers. Do you have the titles of specific papers that could shed light on this issue? Since you don’t like my calculations on biomass, let’s just focus on the nitrogen. 470 lb N per acre per year is a hard number to argue with, unless the organic matter at Browns has less N than normal, or the 1.7% to 11.1% change is wrong. Where did all that nitrogen come from? If it is just legumes “and BIOGOLGY!” where is the evidence that this has happened anywhere else? Because, before posting this essay, I looked to see if anyone had documented anything similar anywhere else. I thought that perhaps in undisturbed natural ecosystems it would be possible. In “Cleveland, Cory C., et al. “Global patterns of terrestrial biological nitrogen (N2) fixation in natural ecosystems.” Global biogeochemical cycles 13.2 (1999): 623-645.” the highest estimate of N fixation per year was 217 lb N per acre from tropical forests (long growing season, including N from both legumes and free-living N fixing organisms). Their estimate of N from tall/medium grassland was only 28 lb per acre per year. 470 lb per acre per year is extraordinary. Andy, I wouldn’t think the native tropical ecosystem would be the upper bound of how much N could be fixed. Not many legumes there. Wouldn’t a pure stand of alfalfa at Gabe’s produce far more than 217 lbs/a of N? Yes, alfalfa would produce more – I was checking on what natural ecosystems could do – but 470 lb N/ per acre from alfalfa or any other source would have to stay in the soil and be incorporated into the soil organic matter. If the alfalfa is harvested, so is most of the nitrogen it fixes. If alfalfa was grazed (as part of a mix), most of the N would still be there as manure (a small portion is lost as protein in the livestock). If the legumes were supplying some N to the nonlegumes via the mycorrhizal network, and were grazed, much of the N would still be there. Plus, free-living N fixers would be abundant since Gabe isn’t using any N fertilizers. As to the 10 acres with 11% OM, if Gabe is feeding hay or whatever in that spot, it could gain more OM than elsewhere. Do you know that the field where Gabe has 11.1% organic matter is 10 acres? Unless Gabe can confirm any of this, it is all speculation, not explanation. I guess Gabe said “one plot” was 11%. He will have to clarify how many acres that is. Pyry, thanks for the comments. Regarding the rock nitrogen, the global totals that they mention are impressive, but when you bring that down to a smaller scale, their Figure 2 shows that most of the land in the world is emitting 3 kg N/ha per year, roughly 3 lb N/ac per year, so unimportant to agriculture. The entombment paper is interesting, and we are getting a better idea of how organic matter is formed, but even if it is not plant material that directly becomes soil organic matter, the microbial process is still driven by plant biomass, with the accompanying losses along the way, and so the quantity of plant biomass is still important. And I agree, Gabe, that not everything important and true has yet found its way into the science literature. The most innovative people in industry will always be ahead of scientists coming along behind and documenting what is happening, and trying to understand it. I can agree with that, and I am one of those trying to understand, but I think we can also agree that we should not believe everything we read, or watch, or hear. I don’t think farmers would want us to start using YouTube videos as references for Extension publications. We need something more, especially for claims like this. I would agree that papers/studies would be nice to see some proof, but I have seen the soil tests showing the large increases. I have also with my eyes seen multiple species mixes weathering our droughts better than monocultures. It is not easily explained, but when you see the results repeatedly, you adopt the practice anyways, then figure out why later. You don’t struggle along by not adopting some of those practices till it is “figured out”. Yes, that’s what Gabe & cohorts found when they were doing this research ~10yrs ago. Think Kris Nichols was involved in that, maybe Jay Fuhrer. It was during a major drought, and all the monoculture cover crops died, but the mixes were fine. The thing we need to remember farther south is that mulch cover is paramount, so we need mostly grass species for covers, and keep the broadleaf species to a small percentage of the mix. I posted two papers suggested as the evidence I am looking for. I reviewed the first and found that the second had already been reviewed. They are just below the original article above. Some of the comments posted on this blog are nasty and personal. I am accustomed to this tone on Facebook, but not in an academic discussion. On the other hand, some of the comments invite further exploration. Andrew McGuire has posted a provocative piece that received a lot of criticism. Throughout the resulting discussion, he has been open to considering additional information, requesting citations for specific papers and sources of additional evidence. Science advances by a process in which information is interpreted, challenged, and continually reevaluated in the face of evidence. Ad hominem attacks do not advance this process. Neither do attacks on peer-reviewed literature. I agree that there is important information that is not in the scientific literature and that the peer review process is not perfect. But the review process sets a standard that is useful for evaluating presentations of evidence. Yes, some peer-reviewed papers support industrial agriculture. But it is a mistake to tar all peer-reviewed literature with that brush. That can lead us down a dangerous path. The lack of civility displayed in parts of this discussion is particularly disturbing because of the prevalent anti-science bias we are now seeing in contemporary culture. I too have followed the exchange with interest. I have a bit of a bad feeling from it. I am thinking… in Galileo’s day, Galileo was telling everybody who’d listen: “but look at what’s up there!” Of course the studies and approbations were years, generations away. And so many, many chose not to look. Galileo was attacked by the church, not fellow scientists. There is a difference. Reading through these comments, one might think Andrew McGuire is being attacked by the church of Regenerative Agriculture. Galileo was attacked by the PTB of his time, churchmen and otherwise. And so are various ag people who don’t hew to the ag religion of our time — get big or get out, mine the soil, poison the heck out of everything, and only yield matters. Even when cows have udders so big they fall over. Andrew McGuire is part of the PTB, and demanding extraordinary evidence he well knows most nobody in his world will fund or put their stamp on. I say… look at what’s down there, and do. The proof of the pudding is in the eating. Others, they will argue and demand what just isn’t available yet. Your choice. Oh my. Powers That Be. I remember these discussions from my undergrad late night bull sessions. Sure wish academics had some power! Do you have any published research to contribute to the discussion? Vera, I think you should read John Heilbron’s biography of Galileo. The real history is not quite that simple. Also, to quote Stephen Gould, “A man does not attain the status of Galileo merely because he is persecuted; he must also be right.“ There’s nothing wrong with asking for a farmer that’s making big claims in a public forum to team up with researchers to prove that his methods are as effective as he claims. Second, the idea that no one will fund or put their stamp on that research is strange. To start, the organic industry in this country is massive and regularly funds pro-organic studies. Mainstream scientists also study organic farms as a matter of routine and do so using federal funding. (Do a Google Scholar search for “organic” or “permaculture” or “mobstock grazing” or other related terms and see what comes up.) There are even many federal grants and subsidies out there that are earmarked for organic farms. I can’t think of any reason to assume that no one would fund or conduct research on so-called regenerative farms. Thomas, why do you assume I haven’t studied Galileo? And nowhere do I suggest that his, or any history, is simple. And I agree with you that a researcher encouraging farmers to team up with researchers is a good idea. Perhaps Andrew can team up with Gabe for a long term study done to his specs. As for your claim that the organic industry will fund such research, perhaps you are right. But I have waited for many things (that I know to be true from experience) to be shown supported by research, but it hasn’t happened. Everything is more complex than it seems on the surface. Also, I think nobody ought to be an agronomist who is not also applying those ideas to the soil, in the practical day to day farming/horticultural sense. Call me old fashioned. We would do well to remember that science and reason account for essentially all the wonderful progress we enjoy today. Read Steven Pinker’s Enlightenment Now. Some (emphasis on ‘some’) of what Regenerative Ag espouses is being or likely will be proven out and will change the way we think and act. But not everything. Being contrarian doesn’t make you right. Excellent point below by Thomas Meister that Galileo is celebrated not just because he was persecuted but because he was right. Just because there are some things that are amiss with Big Ag doesn’t mean that we should toss aside all the tools and knowledge we’ve acquired. Here is a recent related article I wrote on the nitrogen requirements for regenerating soils. To all, I suggest you read Horst Marchiner’s book “Mineral Nutrition of Higher Plants”, it will answer many of your questions. Those who say that nitrogen can only be fixed by rhizobium on legume roots are mistaken. Several sources available from non-legume sources. Much information as well showing how plants can obtain the minerals they need without Charles from the Co-op spreading them on and me handing him a check. Yes that includes from intense crop removal due to high yields. We got this guys….we got this! Not an easy read but well worth the information. Dan, I am aware that there are other nitrogen fixing organisms besides the legumes/rhizobium. However, they do not generally fix enough nitrogen to be significant to agriculture. According to the Marschner book you referenced (thank you for this), the estimate for free-living N-fixation was 20 kg/ha per year (roughly 20 lb/ac) under optimal conditions (pg 407 of 3rd edition). Thus the focus on N fixation by legumes. If you know of research contrary to this, please let me know. For legumes, the book gives reported values of up to 250 kg/ha, with one paper reporting up to 340 kg/ha (pg 406); still below my estimates of what is needed in this case, and that assumes all the fixed N ends up in the SOM. I did not see anything in this book that supports the idea that we can produce high yielding crops, where the grain is harvested and exported, without fertilizer inputs. We can mine the soil for a while but in the the long-term, what I see points out the need for fertilizer. If there is evidence in the Marschner book to the contrary, please tell me where to look. Chris Smaje, on his blog Small Farm Future, reviews regenerative ag and ends up “waiting on amber”, (at a yellow stoplight for those of us in the U.S.) because of some of the claims of regenerative agriculture. Check out the papers from the Cover Crop Cocktails experiment at Penn State – Meagan Schipanski, Denise Finney, and others have plenty of studies from that experiment demonstrating the benefits of cover crop mixtures over monocultures. Most of the benefits come from the ability to capture multifunctional benefits versus just maximizing a single ecosystem service. Excellent work, Andy. I still think there’s value in carefully chosen cc mixtures, but the hype apparently greatly exceeds the reality. So Andrew, I am reading Influencers (Patterson, Grenny) and I am wondering… why doesn’t ag science treat people like Gabe as “positive deviations” and study closely which are the vital behaviors in which he engages? By direct observation, and performing their own measurements, not relying on Gabe et al’s self reporting? Here is one reason. Too many outliers (think of all the claims made on just YouTube) and too few scientists, all with limited time and resources. Same reason ag science cannot independently evaluate every new product that is being sold to farmers. Mmmm… I recall seeing that pic of Gabe’s field free of water soon after a huge storm while all his neighbors were inundated for quite a while. That alone should identify him as a positive deviation worth studying, no? What about people who survive, say, pancreatic cancer… I have never heard of people wanting to study them, even though there are not that many… seems like a blind spot to me. Just pick one thing, like that picture, and identify the key behaviors that brought it about. Then teach them to others. Anyways, that’s what the book Influencers recommends, and it seems to make a lot of sense. Continuous no-till, cover crops, and perennials are well-known to improve water infiltration. The problem is getting the majority of farmers to adopt those practices. There are multiple studies which have excluded regenerative operations due to this outlier effect. What I’d like to know is why isn’t there more curiosity to get to the bottom of what’s happening? Instead there is this negativity…ok most researchers don’t understand the dynamics of microbial carbon and nitrogen… that doesn’t mean these systems don’t work. You want the research Andrew which is a great start, most of us do. However, these are confounded real world operations, with no controls or vested interests. As such the research is expensive and challenging to get funding for which you are well aware of. I invite you instead to visit these operations and see the evidence in front of your nose. As for other published materials Prof Norman Uphoff’s work might interest you, Marcus Deurers work in orchards as well as the Argos group in New Zealand with their work on ecosystem services. One of the definitions of post modern, agroecological systems is that farmers are the experts… I’m sure that’s an uncomfortable place for many. Happy to send you a piece which covers the dynamics of biological nitrogen cycling. Nicole, thanks for the comments. Please do send the piece on nitrogen cycling which you mention. I hope it offers a plausible explanation for where all the nitrogen came from in this example? As I stated, Gabe Brown is not the only one making extraordinary claims. In following up another suggested lead, I found this TEDx video, by farmer Ben Dobson. Dobson claims that with a cover crop, he realized an increase in soil organic matter of 0.7% in one year. Doing the same calculations as I did with Brown, this would require 700 lb of N per acre, and 23 dry tons of biomass production, at at 30% sequestration rate, which is higher than most estimates I have seen. Again, extraordinary. Here is what another Extension educator calculated it would take for a 1% increase in soil organic matter percentage. I am a small farmer growing vegetables and corn in less than a hectare plots. I don’t want to use manure or compost, they are expensive here. How to substitute that with chemical fertilizer? How to make sure I have enough micronutrients for my soil? Testing soil is not an option here, too expensive for small farmers. What constitutes evidence in this case? This graphic shows it clearly. Thanks to those of you who suggested research papers to review. I have reviewed them, and found that they are not the extraordinary evidence that would support the extraordinary claims of regenerative agriculture. What I found is that while recent research tells us more about how soil processes take place, especially of the organisms that are involved, it does not change the outcomes of these processes, which is where the claims of regenerative ag reside. For instance, we now know more about the organisms that can fix nitrogen in the soil, which could help our management, but none of this research has shown a large increase (compared to previous research) in the amount of nitrogen fixed in soils. Similarly, although we are increasing our knowledge of soil organic matter, cover crops, and nutrient cycling (mycorrhizae etc. ), the research does not support the claims of quick increases in soil organic matter, the benefits of multi-species cover crops, or the ability of natural soil fertility to supply nutrients to high yielding crops over the long-term. This is also the case for the references given in David Montgomery’s book on regenerative agriculture, Growing a Revolution. Montgomery highlights many of the farmers who are making extraordinary claims, but the papers he cites do not support those claims, but rather show our increasing knowledge of how soil processes work. On a field-scale level, researchers are not seeing the soil do things that have not been seen before; they are not seeing evidence of those extraordinary claims. I am still open to reviewing research papers that support regenerative ag claims, so please send them if you know of any. Prof. McGuire – I thought your article was provocative and I agree with the underlying message that extraordinary claims ought to be backed up by extraordinary and rigorous data. I, for one, believe this will come in due time and am excited to see more research come out from farmers as well as the academic and agricultural fields (no pun intended) wherever they may be. More discussion relating to the science and practices that increase soil health, soil organic matter and farm profits will be to the benefit of all. In the meantime I would like to revisit some of the assumptions in your article that might paint a different picture for how the math would work for increasing soil organic matter from 2% to 11% over a twenty year period. I would also like to point out that, having watched many of Gabe Brown’s videos and read many of his interviews that Gabe does state often that his 11% OM field is his highest and most of the ~5k acres he farms are closer to the 7-8% SOM range. He also quit adding synthetic fertilizers in 2007, or 11 years ago . A common assumption for the mass of the top six inches of soil on one acre is 2,000,000 lbs. or 1,000 tons. This assumes a bulk density of soil of approximately 1.5g/cu3. According to the North Dakota NRCS, clay soils at bulk densities of between 1.4 and 1.65 g/cu3 begin to restrict root growth . This may hold for Gabe’s soils in 1993 with 1.7% SOM but is unlikely to be this high in his 7% SOM or 11% OM soils. Across a variety of sources more typical bulk densities appear to average around the 1.1 to 1.2 g/cu3 range putting total soil weight in the top 6″ of soil at 750 to 815 tons, respectively [3,4,5]. This is the equivalent of 1.35 to 1.65 M pounds of soil. Using the 1.2g/cu3 bulk density number would mean that an additional 73 tons of soil organic matter would need to be added to the land over twenty years, or ~3.66 tons per year. For simplicity, I assume a uniform bulk density (BD) across the 20-year period. With this assumption, Gabe would need to add 3.7 t of SOM each year to achieve a 9% increase over twenty years. In order to arrive at a decomposition rate, or an estimate of lost dry matter mass from plant residue to organic matter, I reviewed research related to the decomposition of plants, or composting. You took a number of 15% conversion from plant material to SOM which is a key variable in your calculations. I acknowledge that there are some resources that back up this figure [6,7]. I would like to make the argument that a better place to look for conversion breakdowns would be in composting operations as opposed to conventional agricultural fields. If you’ve ever watched Ray Archuleta’s favorite experiment you can see why. In unhealthy soils that are low in microbial life and SOM, soil can simply wash away with the rain. Soil at the surface, where residue lies is the most susceptible to washing away. According to the literature on decomposition of plant material, factors that increase the conversion loss from plant material to finished [compost] product or SOM are low C:N ratio, large piles, high heat, and excessive turning of the pile. The inverse, therefore, small piles, low heat and no turning of the pile would tend to have the lowest losses, as could be said to exist in normal decomposition out in a field. Decomposition ratios (decomposed matter/ live plant matter) in the literature trend around the 40-60% [8,9] range all the way up to preservation of up to 85% of C in aerobic decomposition [10,11]. Soils high in SOM with high cation exchange capacity and high frequency of crop cover are also soils that have minimal erosion and low leaching. A decomposition range for our calculations therefore in the 40-60% range is more appropriate. Therefore, between 6.1 and 9.2 tons of plant residue would need to be added each year. Absent the addition of any outside inputs photosynthesis is the sole source of carbon on farm. Photosynthesis binds carbon from the air in the form of CO2 and converts it into biomass. In order to create an accurate accounting of organic matter, one way to arrive at what is possible on a regenerative farm is by reviewing the carbon inputs or sinks (photosynthesis) and outputs (respiration, sale of products off farm, erosion, leaching or loss from wind). Another way to think of this is as a carbon budget, factoring in all inputs and outputs. Photosynthesis deposits carbon in biomass above-ground in the form of plant matter, and below-ground in the form of roots as well as in the form of root exudates. To calculate the net gain in photosynthesized carbon we can add these three forms of carbon sinks. Above-ground plant material and roots also respire but these net out and do not need to be counted. In addition, approximately 30% of the energy that goes into creating roots goes into exudates and is taken up by soil microbes . Thus for the same corn example, 2,176 lbs. X 30% would equate to 653 lbs. of root exudates. Root exudates are consumed by microbes and approximately 60% of the mass is lost to microbial respiration . We can therefore use a 40% decomposition rate to both our plant biomass as well as our root exudate biomass. Taking the total sum of biomass and root exudates of 14,919 lbs and multiplying by 40% we arrive at 5,968 lbs decomposed organic matter, or 2.98 tons. If you assume you follow corn with rye and achieve 85 bu/AC with 15% moisture content and a harvest index of .3  you have total above-ground biomass of 13,467 lbs/AC. Rye has been shown to have root:shoot ratio of up to .5 [15,16]. If we again assume 30% of root biomass energy goes into root exudates, we end up with total biomass of 20,201 lbs. Multiply that by 40% and we have 8,888 lbs. of net decomposed organic matter from our rye crop. Adding up the OM from the corn and the rye we have a net gain of 7.4 tons of SOM per acre, 100% more than our target number of 3.7 tons needed to achieve a 9% gain in SOM in the top 6″ of soil over twenty years. If Gabe sells the corn and the rye off farm, we still have a 5.38 ton net gain in OM. I have made some assumptions. I am also in full agreement that more studies of regenerative agriculture will further the cause of helping more farms make more profitable decisions and experience better outcomes. I believe more data-driven research is necessary as related to 1)measurement of below-ground biomass or root:shoot ratios of various cover crops and cover crop combinations, 2)measurement of root exudates for various cover crops and 3) carbon leaching or erosion as it relates to increases in organic matter and regenerative practices. In the meantime, I propose the figures above to show that what initially looked improbable could in theory be achievable, and which Gabe, corroborated with real world data from his farm. Hi Mike, thank you for this alternative analysis. This will give me something to think about, but I am busy with lots of other stuff at the moment. I will respond later. Mike, thanks again for your comments. You went to a lot of work for this. I agree that bulk density could change the calculations, but both of our estimates have assumptions. What I do not agree with is classifying plant breakdown in the soil the same a composting. The numbers that I used, and those in the paper I just reviewed (Castellano et al. 2015, at the end of the post), come from field measurements in soil. Composting is something quite different because it is not in the soil. Also, regarding root exudates, all those studies looking at the conversion of plant biomass to soil organic matter included the root exudates in their estimates even if they did not measure them directly. If they had directly included the root exudates, it would have REDUCED the % of the total biomass that is converted to SOM, and not increased it, because the exudates would add to their biomass that was decomposed, but not changed the end soil organic matter measurements. (This is along my previous comment that just increased understanding of soil biology does not necessarily change the outcome of the processes in the soil). Finally, while your calculations may have made Brown’s claim less improbably with regards to the biomass needed, the nutrient issue remains. As I said before, there is little wiggle room for the amount of nitrogen needed for this change in soil organic matter, unless all previous measurements of the N in SOM are wrong, or unless there is something entirely new here, in which case more evidence is needed. Whether Brown makes different claims in other videos does not change the fact that he made these claims in this video, for a TEDx talk, which would seem to be a formal enough setting to require a certain amount of caution in what he says. If he overstated his case in his TEDx talk, he certainly did not admit to it here. Nevertheless, the video has been viewed over 45,000 times, many times more than this blog post will ever be read. Two more papers added to review at end of post. I’d like to chime in on this discussion to say this. The purpose of a diverse array of crops is not only to build soil, but to provide food, homes, nectar, pollen etc to the host of insect and animal species that require a diverse landscape to survive. Even if there is no difference in soil building between a monoculture and a polyculture cover, one of the goals of 21st C agriculture is to find a system that doesn’t continue driving species to extinction. Polycultures are essential for this. The more blooms in a stand, the more species of butterflies will be found. This corresponds to principle #4. Let’s think in wholes, not lines. Jeff, is there any evidence that a mixture of species used as a short duration cover crop will prevent any species from going extinct? You are right about the “more blooms in a stand…” but researchers from Penn State found that the maximum bloom density was produced by monoculture canola, not a mixture. But a mixture may extend the bloom time over a longer period of time. There are always tradeoffs, and which tradeoffs you are willing to accept depends on your goals and priorities. Cover crop mixtures can do some things better than monocultures – they can provide multiple functions – but not all things; the level of the individual functions are reduced in a mixture. This would also tend to suggest that the amount of mineralized N increases in the system over time, a restoration of the N cycle in a similar way that Gabe has seemed to restore the C cycle. Andrew, thank you for your comment. I have no disagreements with any of the papers you posted. Grazing is great for recycling nutrients, but I did not have to take any of this into account in my calculations because increasing net soil matter levels takes nutrients OUT of the recycling. Of course, the nutrients are still cycling between organic matter and microbes and plants, but to get a net increase in SOM requires a net increase in the amount of nutrients in that SOM, and those nutrients have to come from somewhere; they are a loss to the system as long as the higher levels of SOM are maintained. That is what I calculated; the net increase in nutrients required to build SOM to the given levels. I am wondering what the assumption is for how carbon is sequestered in the model you’re using. Is it a tillage farm model? Does it account for mycorrhizae and the “liquid carbon pathway” from carbon To glomalin? In a no-till or grassland farm? N requirements won’t be so high for SOM. The C sequestration/Soil organic matter formation efficiency has a wide range. I used the average of the range that I found, not a number for the specific system under question, so this could be an error in my calculations. However, although mycorrhizae and the liquid carbon pathway are new advances (not sure about the details of the liquid C pathway) in our understanding, they are not new to the soil. That is, even if they were not completely understood (they still aren’t), they were still occurring in soils where conditions allowed them. And those conditions are not that rare that research would have never been done in those conditions before and so part of that range I mentioned. Also, the processes you mention do not change the need for the nutrients in the SOM, especially N, that I calculated unless SOM in these systems is also very different from SOM as measured previously. I have no evidence of the latter. Agriculture is an art, not a science. When viewed through that lens you’re perspective totally changes. What goes on at the soil level can not be reduced to N P K SOM CEC or any other acronym. It is a miracle that occurs every day. My farms were treated as a science lab for 60 years (20 years by me). It was a total battle every year. Since we changed course 5 years ago, we have seen water infiltration increase incredibly and fertilizer and pesticide use cut in half. And we are just getting started. Science can’t explain it, but that doesn’t make it any less real. Our soil has slowly been degrading and seem to be getting worse each year, getting tired of adding more chemicals and seeing less results, we are looking at ways to get some of that helpful biology back into the soil. Anyone ever have any luck with worm teas or other soil amendments? We are going to test some this spring, been looking at a couple of companies that sell in bulk, will report back my results. How much C, N and P was added to the soil as hay from bale grazing in Gabe Brown’s fields? Would this account for the increase in SOM? Bale grazing was not listed as a practice in the presentation, but if it or any other practice that imports biomass and nutrients was used, that would definitely help explain the reported results. What I am interested in is how much of the produce was sold. You mentioned a reduction of 29%. I think all soil and production research should always take into account the amount that is being sold, retained for compost or disposed of. Production figures are irrelevant without this information. Ideally it would be followed all the way through to consumption. This other element is fully grasping what a loss of production actually means. There must be a host of different reasons for loss of production. I’m sure because of the principles of regenerative a loss of production has a totally different meaning to conventional loss of production. You touch on it lighting by highlight an improved market value. What are your thoughts on this. And also have you understood the platform Entrade where covercrops are helping water company reach their decontamination reductions decades before man made infrastructure proposals. Indicating that value and required levels production are achieving much better business opportunities to farmers.